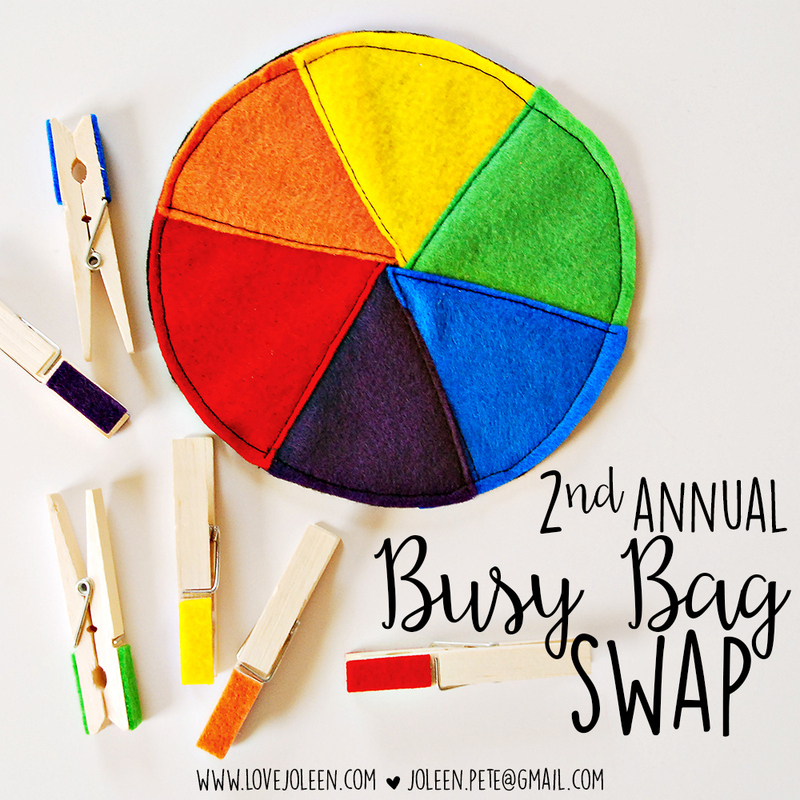 Last fall I hosted my first Busy Bag swap after seeing this swap party on The DIY Mommy. That particular swap was limited to local mamas from my mom's group but a long, long time ago, I used to host art swaps with upwards of 30 women around the country and world. In that vein, I've decided to open this year's Busy Bag swap to anyone, within the U.S, and I couldn't be more excited! What is a Busy Bag? Busy Bags are "self-contained educational toys and Montessori - inspired learning games for toddlers or preschoolers that are easy to pack or pull out when you to play with and teach your toddler or preschooler." They're often used during quiet time and are simple tasks that are mostly self-directed. 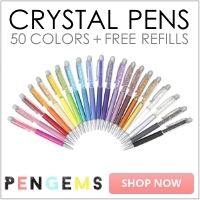 They're often great for challenging and practicing fine motor skills. Here is a great Busy Bag round up on the blog, Small Potatoes and another great guide topreschool Busy Bags on Walking by the Way. My friend, Jessica, of Happily Hughes, just shared her own busy bag printables. There is no limit to the ideas and if you don't want to make or create them on your own, Etsy has got you covered. For even more ideas check out my Tot School Pinterest board or Tot School Instagram posts. Now, for the fun stuff: swap specifics + sign up information! This Busy Bag swap is geared toward ages 2-4. For this swap, I am inviting 11 people to join me, so you'll need to make 12 bags total. Activities do not need to be expensive but they do need to be high quality. For example, any paper sheets need to be laminated, take your time cutting felt pieces, etc. It's not fair to those who spend quite a bit of time putting together high-quality projects, only to receive activities that won't last after the first use. To sign up, email me with the subject line BUSY BAG SIGN UP. Please include your child's first name and age. The cost to participate in this swap is $15 via Paypal, which includes shipping all the final projects back to you. You will need to submit your activity idea for approval by FRIDAY, JULY 24th. This will ensure that we don't have any duplicates. After your activity is approved, you can set about putting 12 of the same activity together. >>> All projects MUST fit in a binder pouch, which you will supply. I recommend clear pouches or those with a clear window so that the project is easily seen by a young child. You'll also need to purchase a binder for all the activities to go in -- I get a 2" binder for ours. You will hang onto your binder and one of the 12 activities, and ship the other 11 to me, to receive by FRIDAY, AUGUST 21st. I will sort the activities and ship them back to you! 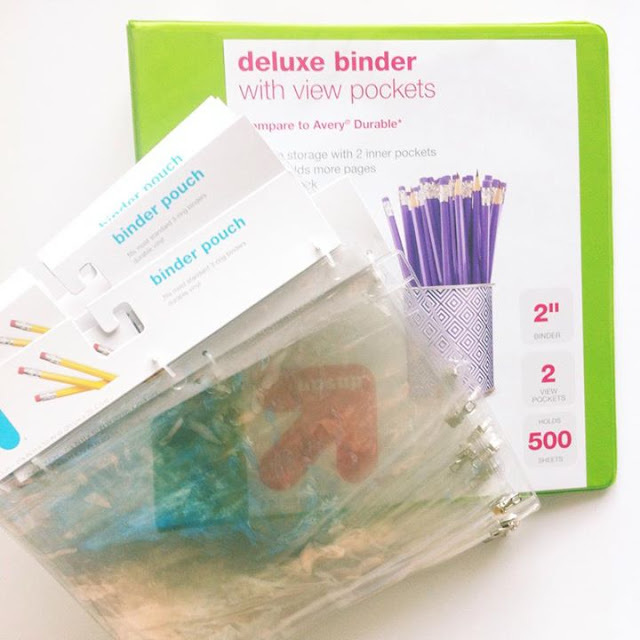 Then, you'll have an AWESOME Busy Bag binder with 12 different activities.